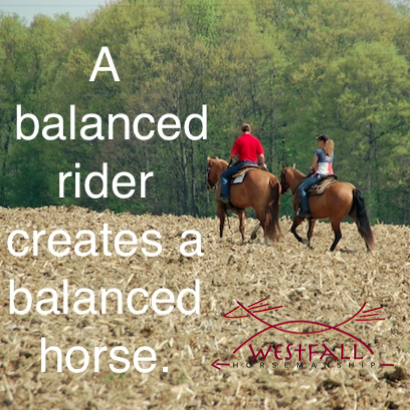 Becoming a balanced rider…and training a balanced horse. When I ride a younger or greener horse it is common for me to exaggerate my body or hand position at times to make my point more clear to the horse. If you think about it, most of us do similar exaggerations when talking to young children. Have you ever notice that when you talk to a two year old child you probably exaggerate your speech and your facial expressions? Generally we do this to make it more clear and engaging for the child who doesn’t yet read the more subtle body language of adults. Eventually we hope that the child will grow to understand the subtle body language of adults but along the way we help them out…but what moves them towards understanding the subtle cues? Human children often begin learning these subtle communications by watching and listening to adults interact with adults. This is where the horse/child analogy shifts. The young horse I’m working begins to pick up on subtle cues because I return to a balanced and centered position over and over again. I may exaggerate my hand movements or shift my body to encourage a youngster to make a change but without a focus on returning to a balanced position many riders find themselves constantly counterbalancing. Signs that things are out of balance include; rider needing to constantly keep their hand to the right or the left, the rider needing to constantly use a leg to ‘hold’ the horse straight, etc. To break the habit of constantly holding the horse you must return to a balanced position. People often choose to ride off balance rather then return to a balanced position because on some level they know that when they do ‘let go’ the horse is very likely to make a mistake and need to be reminded again. In an attempt to avoid letting the horse make mistakes the person accidentally makes it their responsibility to keep things in line…but the cycle won’t end until the rider accepts that they must return to a balanced position, make another correction, and then return again to a balanced position. Neither horse nor rider starts out perfectly balanced but with consistency both can learn how to work together as a well balanced team. 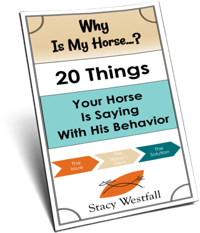 ← If your horse is willing to say 'NO' somewhere it should be a red flag. If you can find a local trainer that gives lessons on well trained horses it is worth the investment to go take a lesson. The experience (if it is a good trainer/horse) will be very valuable because you will get a chance to *feel* the possibilities…which makes it easier to recreate with your own horse. How I learned to be a balanced rider is by stripping away the saddle and riding bearback. This not only made wanting to be balanced at all times second nature but it also allowed me to really feel. Because there was no saddle, Being unbalanced is not an option or you will be eating dirt. Now I don’t particularly care for riding with a saddle but I have to because my discipline is dressage. Lastly, it’s because of your video on YouTube that was dedicated to your dad that inspired me to ride bearback. You still move me and I thank you for this. The definition of balance when it comes to horseback riding entails a lot of things. It means having an even seat, relaxed shoulders, and nutral arms and legs. Imagine how you are when you are just sitting on a horse while its standing still. You’re centered, comfortable, and relaxed. Your not giving the horse any commands so you aren’t doing anything with your arms, legs or seat. That position is very balanced. Now, applying and keeping your balance while riding is another ball game all together, because you’re adding so much to it. You’re adding movement, rhythm, cues, direction, and purpose to everything you’re doing. It can be difficult to remain balanced while you’re focusing on so many things. 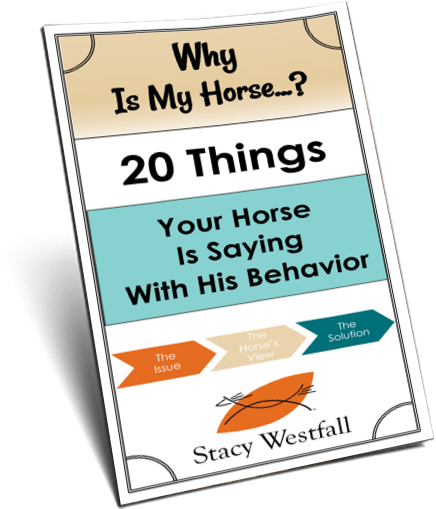 Especially if you have a horse that needs correction, or isn’t just a “push button” kind of guy. Thank you do much for this article. These are very hwlpful for me as I train my 5 yr old quarter/Walker cross. We have been together almost 2 years and going strong, but I have limited funds to hire a trainer….I’ve enjoyed taking on the role of Keaton’s (my horse ) traine.